At ABP Tech, we know you want to work with a distributor that does more than just takes an order and ships a box. You want a partner who gets it right, provides you with solutions rather than just products, supports you before and after a sale and helps you grow your business. ABP empowers partners to earn more business and margins. We help partners expand horizons, learn new product lines and penetrate new industries through trainings, certifications, webinars, newsletters and more. What sets us apart from the competition is our drive to offer cross-industry and product training, usually at no cost. We want you to be prepared and confident in selling, installing and using progressive technology that improves lives. Just as we have great relationships with our partners, we communicate closely with our manufacturers. With help from you, we invoke change with the manufacturer from the ground up with your vital feedback. We don't find customers for our products, we find products for our customers! ABP Tech is a specialty distributor that only offers top-of-the-line products and best-of-breed solutions that we've travelled near and far to find and test. There's a set list of criteria and extensive testing that each and every ABP-offered product has achieved before it's added to our portfolio. The solutions we offer are easy to run, manage and are designed to work together. This results in faster installs, fewer problems, added value and increased profits for you. We use the products we offer to ensure their functionality, interoperability and quality. As a result we become experts and we can support you confidently and knowledgeably. The ABP tech support team is involved in product selection and only agrees on those products that are robust and reliable. We maintain a great relationship with our manufacturers, so if we’re stumped by an issue, we'll go straight to the source to fix it. ABP tech support offers a quick turn-around via multiple support options. Our subject matter experts, product managers and tech team lend support for each product line and solution we carry. As an early adopter of the IP technology revolution, we set trends rather than just follow them. Our experts monitor the market for emerging technology that can help our partners deliver the best solutions. 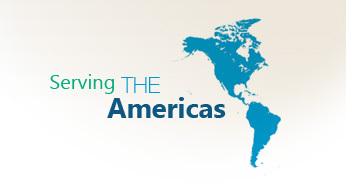 We maintain a diverse team to preserve an international vision that incorporates global trends. Our ABP Tech team prides itself on being thought leaders in the technology space. Our vision is fueled by you and our goal is to ensure we adopt only the best solutions that will improve your business and sales. Because we have great relationships with our manufacturers, we shape future products by passing along your feedback. ABP Tech can provide our partners the best products, service and support – but if you don't get your solutions when and how you want them, we've failed you as a partner. Because we demand excellence in all stages of the transaction, ABP takes pride in the fact that 98% of our orders go out same-day! We continually improve and evaluate our processes to offer our partners services and features that make life easier. Our one-of-a-kind Order Tracking Plus – Including detailed Multi Carton Packing List and labels on Cartons – helps enable large project installs. Check availability, short-term product reservation for larger projects via account manager and transparent online inventory levels on our PartnerStore. ABP Tech is committed to providing our partners a culture based on true partnership, high-tech and high-touch.